Ulysses, NY (April 5, 2019) – A head-on collision that occurred at high speed along State Route 89 was reported to have tragically resulted in the death of one person and the serious injuries of three others. The fatal crash took place on Thursday afternoon, April 4th, prompting responses from police and emergency medical crews. A minivan was reported to have been traveling south along SR 89 when it crossed into the opposite lane and subsequently struck one car head-on before crashing into another. Firefighters, who were among the responders at the scene, stated that they arrived to find four people trapped inside their vehicles. Three occupants were removed from their vehicles by emergency responders before being airlifted to Upstate Medical Center in Syracuse. A passenger in the minivan was sadly pronounced dead at the scene, according to authorities. Neither the cause of the crash nor the exact conditions of the injured victims are known at this time. Our deepest condolences are wholeheartedly extended to the loved ones of the deceased victim during this tragic and devastating time. Additionally, we extend our sympathies to all three injured parties, as we preserve our greatest hopes for their full recoveries. 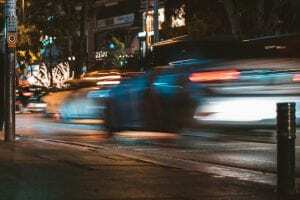 Sadly, many car accidents in New York prove to be fatal or catastrophically injurious, especially those which occur head-on and at a high rate of speed. While it can be difficult, it is important for victims and their loved ones to know that they may have substantial rights moving forward. At Hach & Rose, we know that there is nothing as difficult as dealing with the sudden loss of a loved one or the aftermath of a sudden injury. As members of the community, our accident attorneys are here for you 24/7 to answer any questions you may have at this time. If you have lost a family member or have been hurt in a New York car accident due to no fault of your own, please do not hesitate to call 212-779-0057 today.